SAN FRANCISCO -- Howells, a new wine bar, is opening next week in the Marina at 2373 Chestnut St. (between Divisadero St. & Scott St.). This spot is located in the former Mezes Kitchen and Wine Bar space, which closed at the end of last April. As we reported last year, a public filing stated that the new project is backed by County Wine Group, LLC and has a permit to sell beer and wine. In addition to the main bar area, the new space also features an upstairs loft. "I spoke with the owner on Monday and he let me know that they'll be opening next Thursday, with a grand opening next Friday," tipster Eric K. told us. There's just one review on Yelp thus far, which gives it five stars. 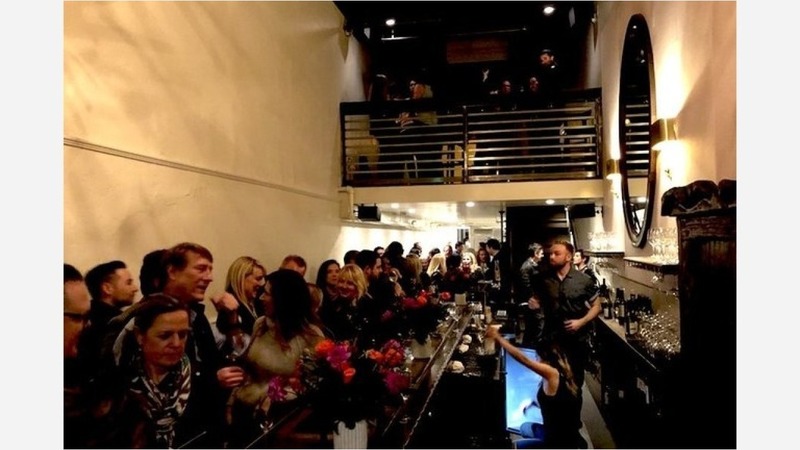 Brian G., who reviewed the bar on March 10th during a friends and family night, said Howells has "a great vibe and a beautiful hand-made bar," plus "great wine and bites and comes with Nate's beaming personality." No word yet on the the bar's hours, but for more information, call Howells at 415-814-2150. Thanks very much to Eric K! If you've seen something new in the neighborhood, text tips and photos to 415-200-3233, or email tips@hoodline.com. We'll give you credit if we use your info in a story.